Tailoring service is now available at Presto Drycleaners! Tailoring service is now available at Presto Drycleaners! 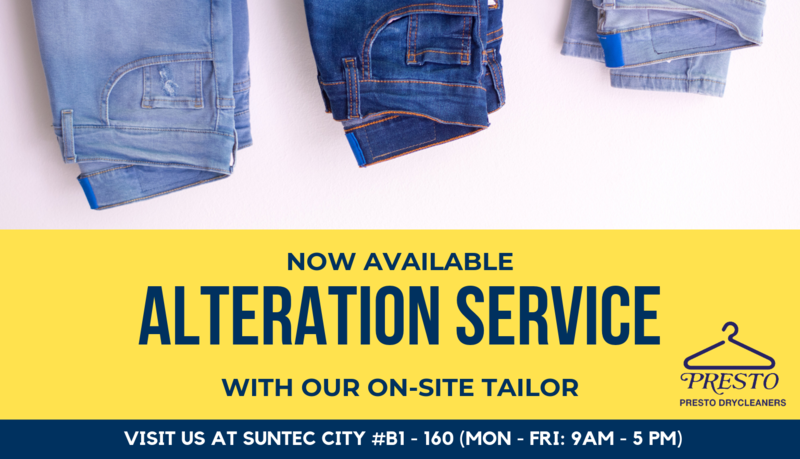 The tailor will be in store from 9 am to 5 pm, Mon - Fri, excluding weekends and public holidays. Presto Drycleaners is located at East Wing, #B1-160.